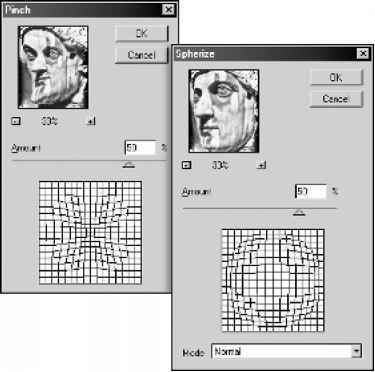 • Select the zoom tool s. The pointer becomes a magnifying glass with a plus sign in its center r . Click the area you want to magnify. Each click magnifies the image to the next preset percentage, centering the display around the point you click. When the image has reached its maximum magnification level of 1600%, the magnifying glass appears empty. • Click the Zoom In button r in the options bar to magnify to the next preset percentage. When the image has reached its maximum magnification level, the command is dimmed. • Choose View > Zoom In to magnify to the next preset percentage. When the image has reached its maximum magnification level, the command is dimmed. • (Photoshop) Enter a magnification level in the Zoom text box at the lower left of the window.